Is there any software to connect to internet without any hard drive or wifi?????? Re: Software to connect to internet without wifi or any hard drive? No, atleast not in my knowledge. For you to be able to connect to the internet you need to have some sort of physical connection to the world;either in the form of cable or wireless through the router. Internet is the physical connection. You cannot just connect to it with just some kind of software. Remember all the services that we use such as email,websites,instant messaging etc. use the physical network to transmit the bits from one place to another. They are of no use if you don't have the backbone of physical infrastructure to connect different computers. Information about Software to connect internet without Wi-Fi or any hard drive : If you want to connect your Computer with internet without Wi-Fi or any hard drive then you have to install PC suit in your laptop or Computer. You can download PC suit according to model or handset .After installing PC Suit in your Laptop or Computer you required a external Data cable to make connection between Mobile and Laptop. You can also connect your Laptop with Net setter .This another way to connect laptop with Internet. To use Internet on your computer you required GPRS enabled handset and connect your mobile phone to computer. u can connect ur mobile by bluthooth for using internet . u need bluthooth software in ur pc. n pc suit of mobil company. than strt both bluthooth. open pc suit choose bluthooth connect n than k.
ur pc is ready to use. I take it as a fact that you are asking for an internet connection that does not involve any external or internal modem connection. If you mean that you do not want to use any other hardware, then it is quite impossible. Until now, other than a wi-fi connection, minimum one hardware is necessary for Internet connection. That means that with that particular hardware device and its corresponding installation software you are registered to one Internet Service Provider. As and when you use Internet, the corresponding bills for this is assigned to your account. If you have no hardware then no Internet Service Provider can be registered with you. So what you do is buy a mobile broadband net connection under popular and very fast Internet Service Providers like Reliance or Aircel. After that you will get an installation CD. When you install that CD in your machine you will be able to use Internet 24*7, with the broadband device connected to the USB port of your machine.At the end of the month you will get your billing information.Now choose the service you want yourself in. If you want to connect to Internet without the use of wifi or any hard disk,you can take help from any of your samsung or sony ericsson phone(if any)via PC suit available in forms of CD with the handset or USB cable wires if you wish to do it using wires and if you want to do it wireless you can purchase a USB bluetooth dongle available in the market which further you can connect it to the USB PORT. You cannot get internet free of cost ! Either you need a phone or a broadband or wifi to connect to the internet. If you want to connect using the phone then download the pc suite for that phone. Then turn on your bluetooth in your PC and in your phone. then connect your PC to phone via bluetooth. If your GPRS is activated then you can use internet. use the nokia pc suit and if your's is sony ericsson use sony pc suit). You can also connect your Laptop with Net setter . This another way to connect laptop with Internet. These given below methods can be used for connecting internet to your PC . You can use cell phone by using data cable for internet . You can use cell phone by using Bluetooth for internet . Data card can be used for internet . 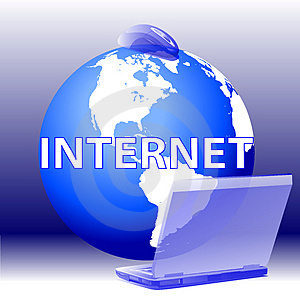 ADSL Connection can be used for internet . You should have hard drive in PC to use the machine , it is must component of PC . So , hard disk is must for PC to use internet . All above methods cn be used for accessing internet . 4. ADSL Connection can be made in use. There is no such software to connect your computer to internet without any hard driver. Dear if you want to connect your computer with the Internet then dear you must have the internet connection first and after that connection procedure is followed for type of connection like wi-fi connection USB connection, mobile blue tooth connection etc. So dear if you want to run internet on your PC then you must have to purchase it from service provider in your area. But you can use PC Suite software and makes your mobile as a modem for using net. If you want to connect to Internet without Wi-fi. Then, you can connect your PC with Internet by using USB Modem, Broadband, Mobile (using USB Cable), etc. Today, most of the computer users have USB Modem for accessing internet. It costs near about Rs.1500 and available in nearby computer shops. You can buy USB Modem and insert any 2G or 3G sim for accessing internet. After inserting modem, it will automatically install its software in your PC. Insert SIM, and access Internet. -> You can also use Data Card to access internet in your laptop. connect to internet using Mobiles,WiFi,Data cards, Modems and etc..and by LAN(Local Area Network) wires and such protocols are used them..
this is another way to connect laptop with Internet sector..
Internet on your computer mobile phone to connector..
Easy to focus and maintained things..
- Hard Drive is connected with out wifi and hard drive. - Drives to important of mobile connectios..
No,without any physical connection you would not be able to connect.You need a network of a sim,broadband connection or any other connection.You just need to help yourself and you can buy now a days internet is very cheap and you can enjoy up to 2 gb internet on rs.98 by gprs. We have some ways to connect to internet without using wifi or any hard drive ? we have enable to connect these way those given below. 1. By using Modems/Data Cards. 3. By using wired cabels. Actually modem / data cards are mainly released by service provider. How is provide the service for you . he will maintain a common software for all his customers. so when ever you purchase the modem/data card , service provider provides a software with it. You can happly insert your modem/data card and install firmware. you can haply use it. In Market we have so many mobile phones are available . but in those mobile a feature is theri GPRS/3g . which phone has availability for gprs or 3g those phone companies are provide a software for connect internet to the system. A General connection for internet we mostly used this way. a cable provide by provider . once connect that cable we can easily access the Internet in our system. 4. click on setup new connection. 6. fill the particular . If you want to connect internet in your computer without wifi or any harddrive there are two ways to connect internet. 1.First you have to install your mobile bluetooth in your system. 2.after that you have to turn on your pc bluetooth and mobile bluetooth. 3.now selectdevice which is your device. 4.if it is connection accepted then you can use internet. And another way is USB cable. 1.first you install pc suite in your computer. 2.then connect usb cable mobile to pc. With out Hard drive we can connect internet.. Through Usb cable we can connect with mobile phone..
And we can use data card also..
Next we are Connecting with Asynchronous Digital Subscriber line. No, atleast not in my information. For you to be able to hook up with the web you wish to own some variety of physical affiliation to the world;either within the sort of cable or wireless through the router. web is that the physical affiliation. you can't simply hook up with it with some reasonably software system. Remember all the services that we tend to use like email,websites,instant electronic communication etc. use the physical network to transmit the bits from one place to a different. they're of no use if you do not have the backbone of physical infrastructure to attach totally different computers. atleast not in my knowledge. There is no software to connect to Internet without Wi-Fi and hard drive. But you can use live operating systems that works without installation on any hard drive. They boot up only in the RAM of your computer. To do this, first you should get the ISO image of the operating system and then burn it to USB drive or CD or DVD. After booting, install the necessary network drivers to connect to any LAN network. If it is latest mobile you can connect with VPN also. If your mobile having ip setting facility then you can connect with dail up or vpn connections also.